The Defense Advanced Research Projects Agency tested an unmanned aerial system with built-in capabilities from the agency's Collaborative Operations in Denied Environment program. The test evaluated how the airborne platform responds to threats in an anti-access area denial region. DARPA said on Nov. 19 the ground and flight tests occurred at Yuma Proving Ground in Arizona and marked a key step for the agency's CODE program. During the three-week test sessions in a live/virtual/constructive environment, around six live and 24 virtual UAS worked as surrogate strike assets, operating via commands from a human pilot. The air vehicles shifted gears to autonomously detect and engage pre-planned and pop-up mobile ground and maritime targets secured by a simulated Integrated Air Defense System in signal-ridden areas. 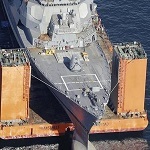 Scott Wierzbanowski, DARPA's manager for the CODE program, said the demonstrations proved the system's ability to address low bandwidth collaborative sensing and on-board planning issues in scenarios wherein communications and global positioning system navigation was unavailable. Wierzbanowski added that such skills can be used to adjust to mission requirements and an ever-changing environment. 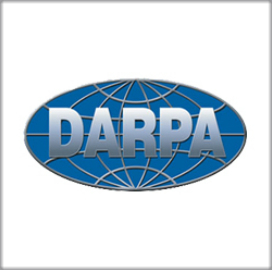 Among the achievements of DARPA's CODE program are the integration of third-party autonomy algorithms into the present software makeup; establishment of a government repository and lab test site for CODE software; and the development of the Johns Hopkins University Applied Physics Laboratory White Force Network. CODE will remain under DARPA until the spring of 2019, after which its management will be transferred to the U.S. Navy's Naval Air Systems Command.